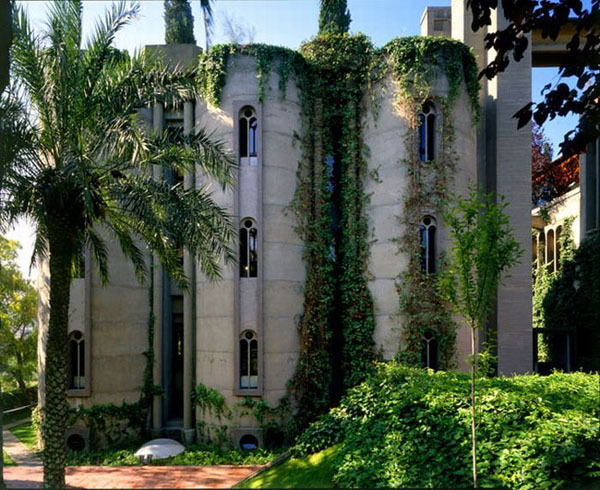 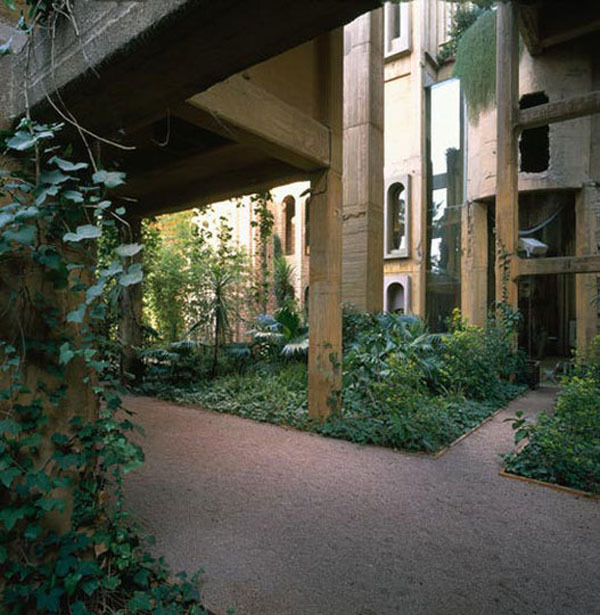 Industrial pillars, Romanesque windows, ivy-covered bastion-like walls: the Barcelona home of architect Ricardo Bofill is one of the most astounding architectural reconversions i have ever seen. 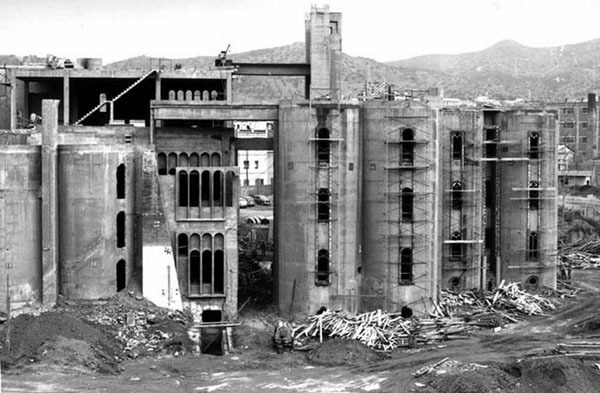 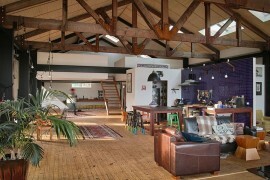 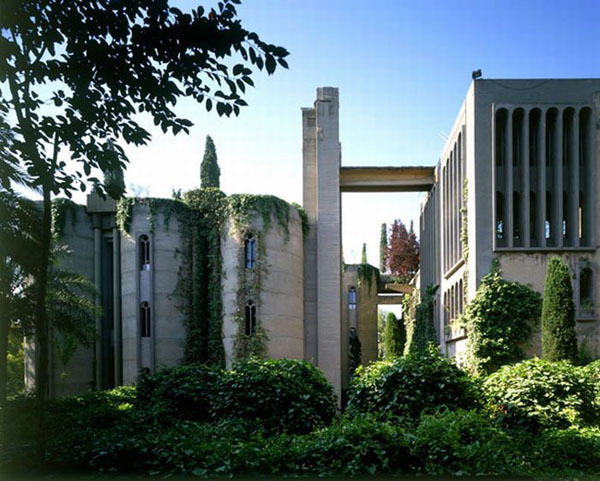 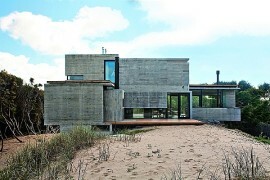 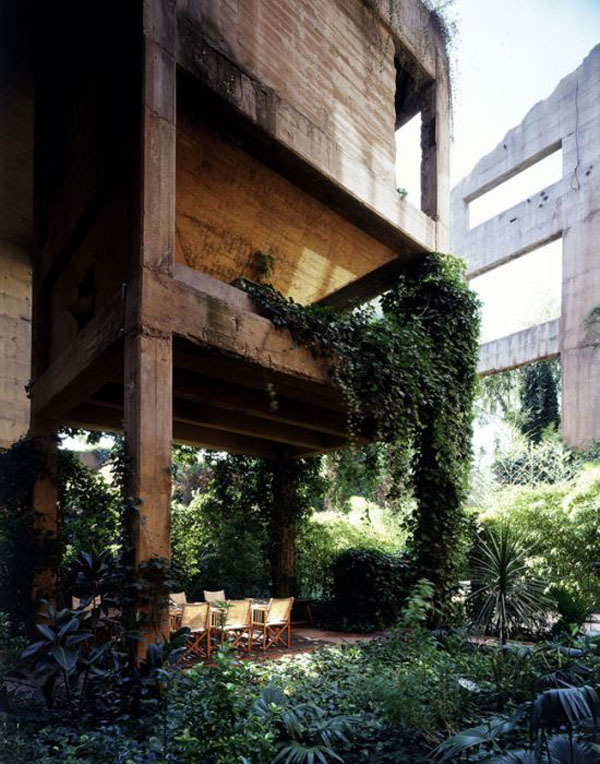 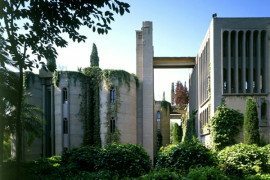 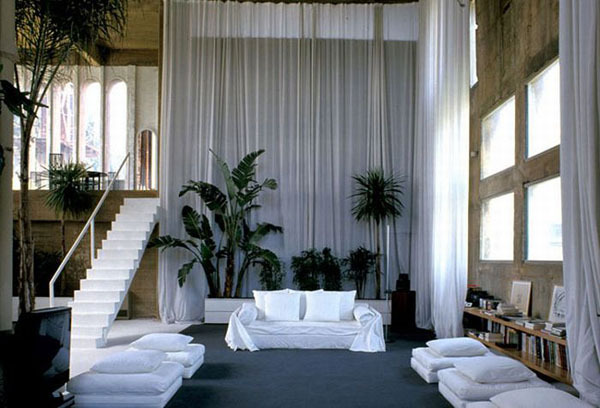 The architect bought this vast deserted concrete factory in 1973 and impossibly turned it into a dream home. 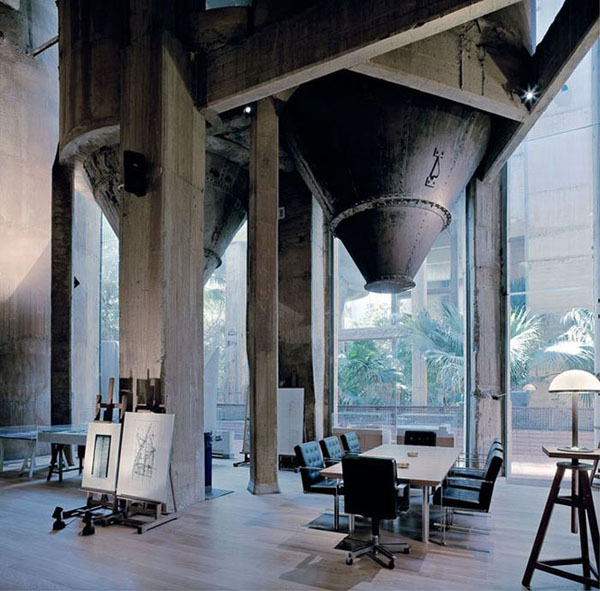 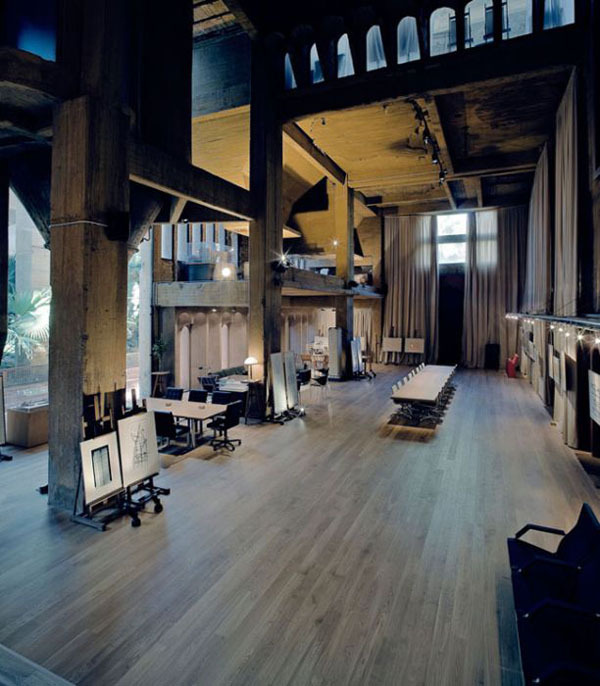 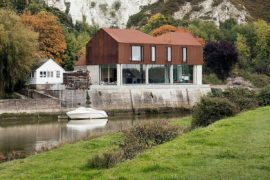 The 2 story height regime, the rough industrial concrete pillars and the giant concrete mixers suspended above the living room and studio respect and remind of the building’s thriving industrial past. 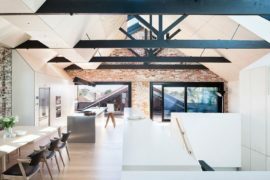 And while having cement mixers instead of chandeliers hanging from the ceiling of your living room may be a controversial question of taste, i, having a weakness for industrial accents, find them refreshing and fabulous. 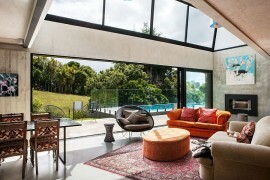 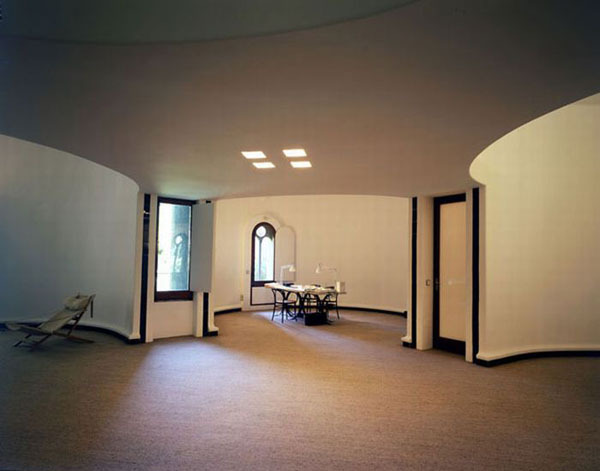 However, the architect has not neglected to make his eccentric home beautiful and welcoming as well as majestic, by keeping the round arch niches on the walls and through the use of Romanesque window profiles, marble for the dining room, dining table and bathtub, long floating curtains, pillows and round arch doors with wood and ceramic tiles, adding the tranquil and subtle opulence of Moorish style to this exquisite residence. 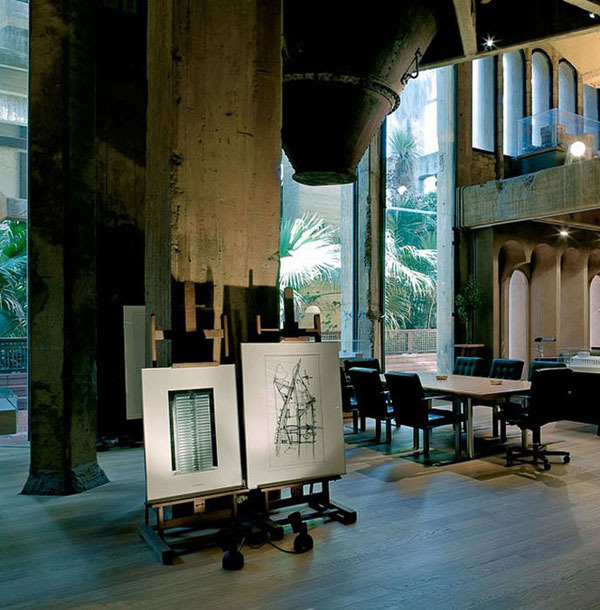 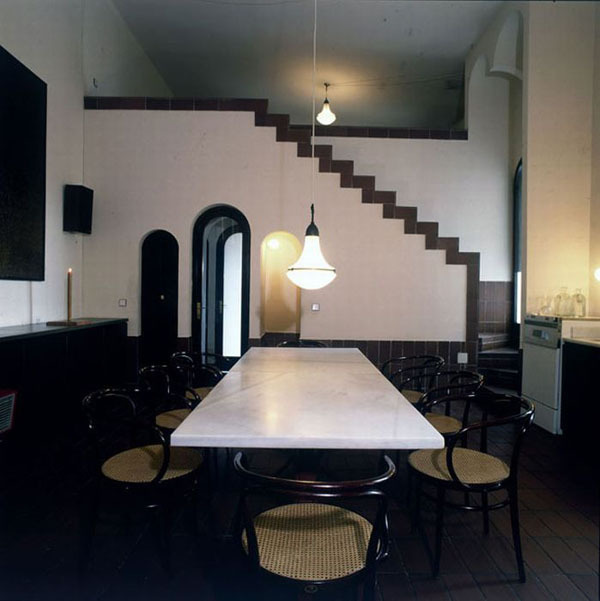 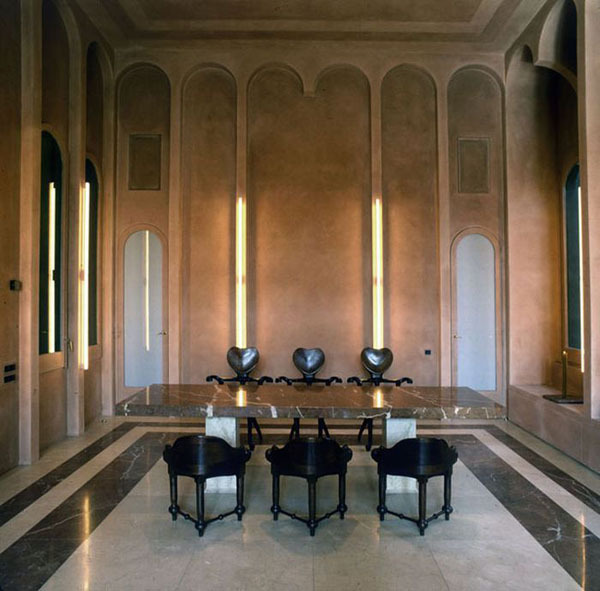 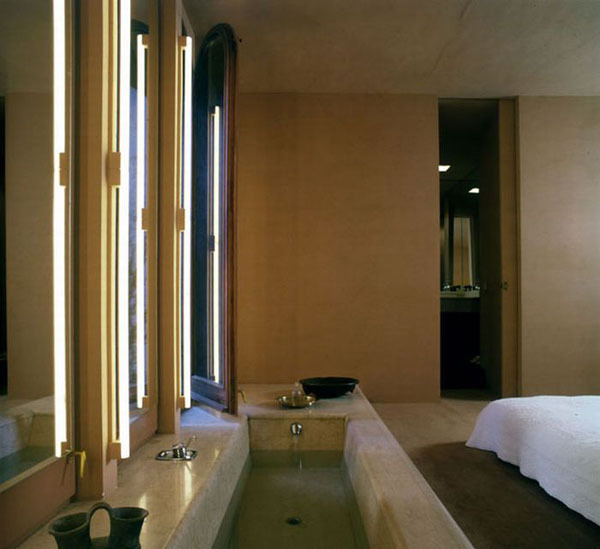 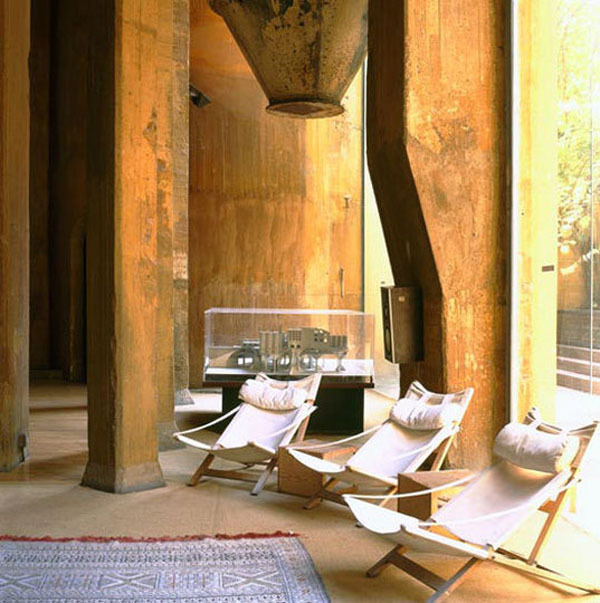 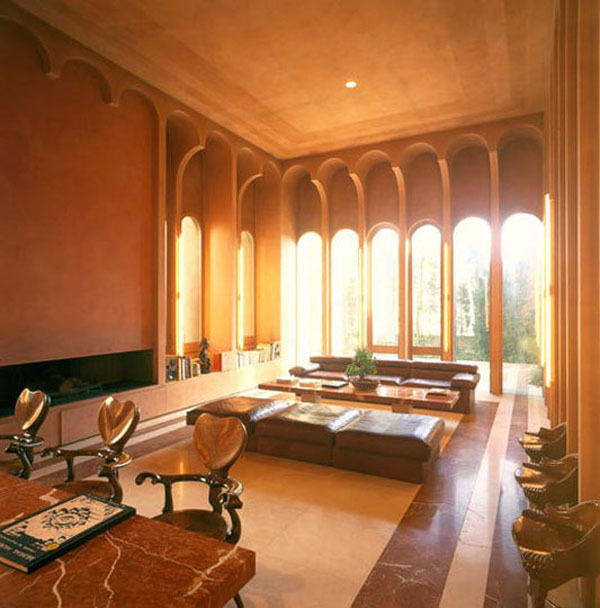 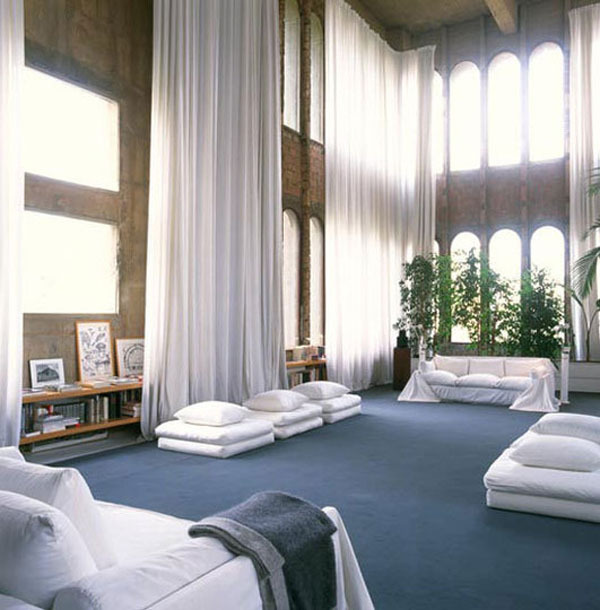 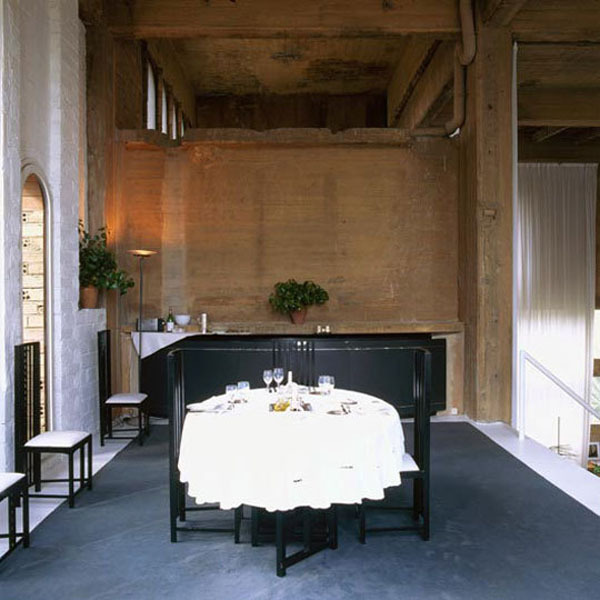 Ricardo Bofill’s Barcelona home is an amazing example of how a residence can be modern and industrial, all the while paying tribute to vernacular Moorish influences and thus creating a bridge over the ages.